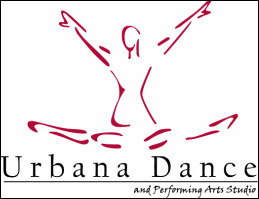 Urbana Dance and Performing Arts Studio is a proud community partner with Frederick County Public Libraries. For more information visit www.fcpl.org. UDS offers a preschool dance program to students enrolled at The Goddard School in Urbana. -Enables children to grow physically, emotionally, socially and cognitively at there own pace. -Curriculum is research based and concentrates on the skills, concepts and goals to help child prepare for school as well as life. -Helps each child celebrate their heritage and individuality. -Promotes skills for conflict resolution. The Urbana Dance and Performing Arts Studio offers opportunities for Daisy and Brownie troops to come to the studio to earn the Girl Scout Daisy Respect Myself and Others petal and the Girl Scout Brownie Dancer badge. Girls will complete all of the requirements to earn their petal or badge while dancing and having fun in the studio. Troops can contact us by sending an e-mail to urbanadance@urbanadance.com or calling the studio at 301-874-4367 to set up a class.